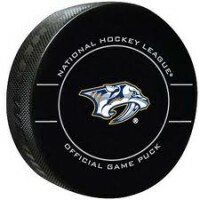 Clarksville, Tn — The Nashville Predators set several franchise records tonight with a 4-3 win over the Washington Capitals. More importantly, the Predators will have home ice advantage throughout the Stanley Cup Playoffs. They had to comeback to do it. Nashville got on the scoreboard first when Craig Smith’s backhand beat Capitals goaltender Philipp Grubauer at 4:17 of the first period for the early 1-0 lead. It didn’t take Washington long to even the game, especially when you have the league’s leading scorer, Alex Ovechkin, in the lineup. Ovechkin fired a “rocket” that beat Predators goalie, Juuse Saros, at 4:29 of the first, for the 1-1 tie. It was Ovechkin’s 47th goal of the season. Evgeny Kuznetsov gave the Capitals the lead at 6:47 of the second period when his wrist shot beat Saros and the Caps took a 2-1 lead. Craig Smith would score his second goal of the night, with Nashville on the power play, to bring the Predators back even, with a wrist shot that beat Grubauer at 14:03 of the second. Game tied at 2-2. Washington, under former Predators coach Barry Trotz, would still grind away as Kuznetsov would give Washington the lead once again. At 1:07 of the third period. His backhander would put the Caps in front 3-2. Roman Josi would do some grinding of his own. At 8:19 of the final frame, his power play slap shot would tie the game at 3-3. Josi got assists from Ryan Ellis and Kyle Turris. Then, at 14:33 of the third, Ryan Johansen would score the game winner on a back hand that seemed to just trickle into the net, just out of reach of the Washington goalie, Grubauer. 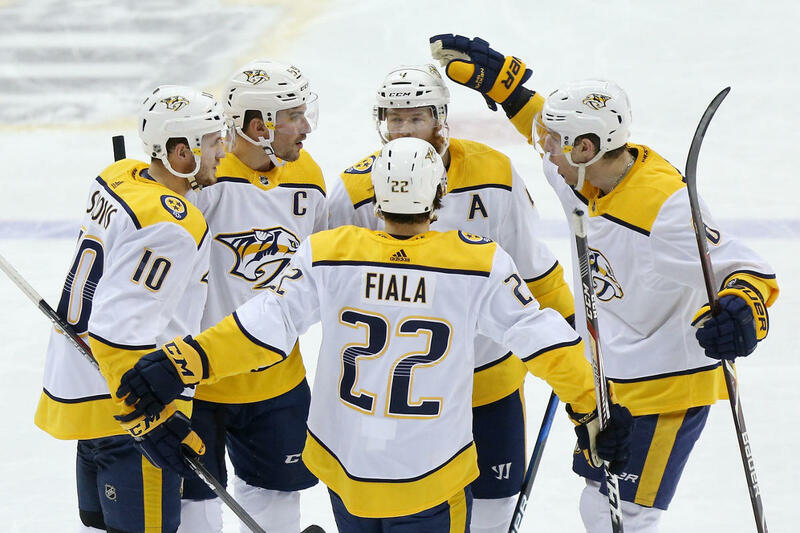 Putting Tuesday’s controversial loss to the Florida Panthers behind them Nashville showed why they should be taken seriously as a threat to win the Stanley Cup. Knowing that not only were the Central Division and Western Conference titles on the line, and the Presidents Trophy, the Predators stuck to their system and rallied for the historic win. 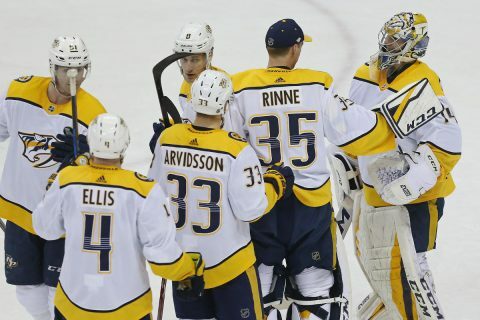 Nashville goalie Juuse Saros made 28 saves on the night, while Grubauer made 25 for the Capitals. The Predators return to Bridgestone Arena for the regular season finale, hosting the Columbus Blue Jackets. Puck drops at 7:00pm.